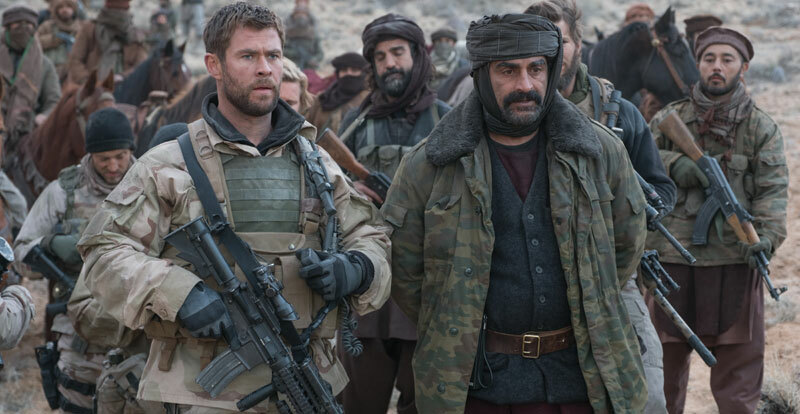 We spoke to the Aussie star about the challenge of playing a US Special Forces Captain in the declassified true story, 12 Strong. After wielding Thor’s axe five times – and with a further two axe-crushing Avengers outings pegged for this year and next – Chris Hemsworth figured playing a Special Forces Captain would be a walk in the park. “Those guys are tough. 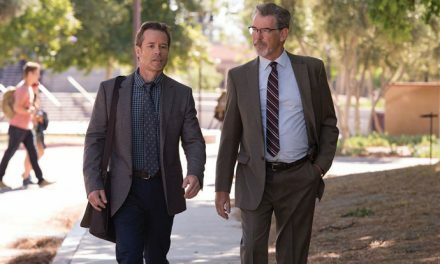 My skills can’t even compare,” says the modest actor when STACK meets with him in Hollywood to talk about his role in 12 Strong, the declassified true story of the first 12 American soldiers sent on a covert mission into Taliban-held Afghanistan in the wake of 9/11. “The NAVY Seals and Special Forces explained how you think you have an idea of what the human body can go through and what is possible. But then after they’re trained to a point where they try to break them and push them past that point, the brain readjusts and goes, ‘No, actually it’s here’. So what you’re capable of is astoundingly different to what you may think at first,” says Hemsworth, 34, who plays US Special Forces Captain Mitch Nelson. “I remember one Navy SEAL telling me how it’s remarkable what you don’t think you can achieve versus what you actually can. And look, as an actor, everyone’s saying, ‘yeah, it’s impossible, you’re not going to go to Hollywood and become an actor’ and so on, ‘Do you know how many people are trying to do that?’ And so it takes a lot of self-motivation and you fail a lot, and get told ‘No’ and the doors close a lot. “The definition of insanity is to try the same thing again and again and expect a different result. 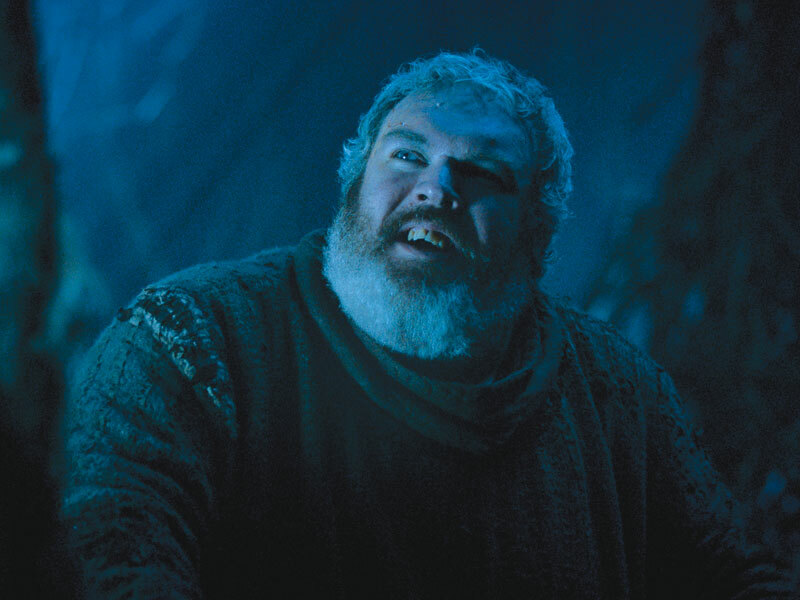 So you’re kind of going against that instinct to go, ‘well this is not working’. 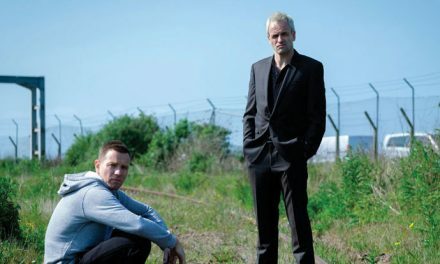 So on a small level, I can understand a little bit, but nothing quite in comparison to these guys,” says the actor whose own humble Home and Away beginnings paved the way for a spectacular career that includes the Marvel Cinematic Universe, Star Trek, Snow White and the Huntsman, and Rush. If Hemsworth is used to being the hottest bod on any set, then this time he had competition in the form of Moonlight star and Calvin Klein model Trevante Rhodes. When asked who had the best abs on the 12 Strong set, he immediately bows to Rhodes’ superiority. Other unforeseen challenges included the fact that the 12 soldiers must learn to fight on horseback – a skill that most of the actors exaggerated on their resumes. “I’d ridden before, but mostly just for one scene in a movie, so this was a whole lot more time in the saddle,” says Hemsworth. “When we were training, they kept saying, ‘Make sure you wear all your gear and the gun,’ and I’m going, ’Aww it’s fine, just learn how to ride the horse’, and then you get on set and load up with an extra 60lbs and get the gun and you’re like, ‘Oh I should have listened’. 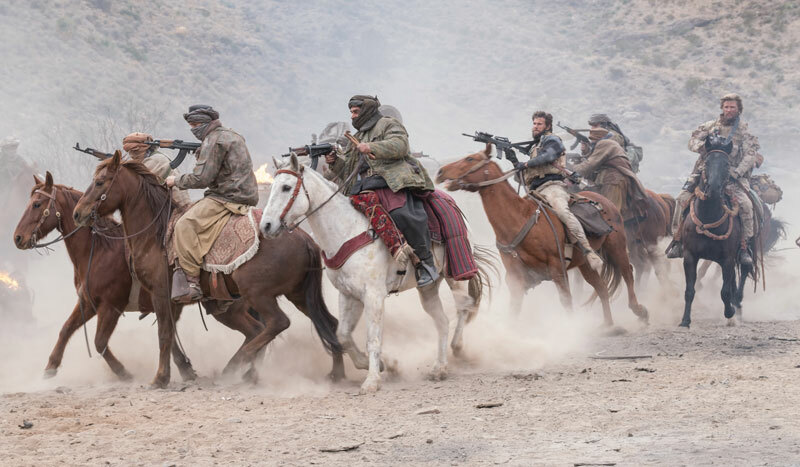 Relieved to be back in the acting saddle, 12 Strong proved a welcome respite from all the green screen work necessitated by the Marvel movies. Joined by his real-life wife, Fast & Furious actress Elsa Pataky, the couple plays husband and wife in 12 Strong, taking a brief break from their three kids to shoot their intimate scenes. 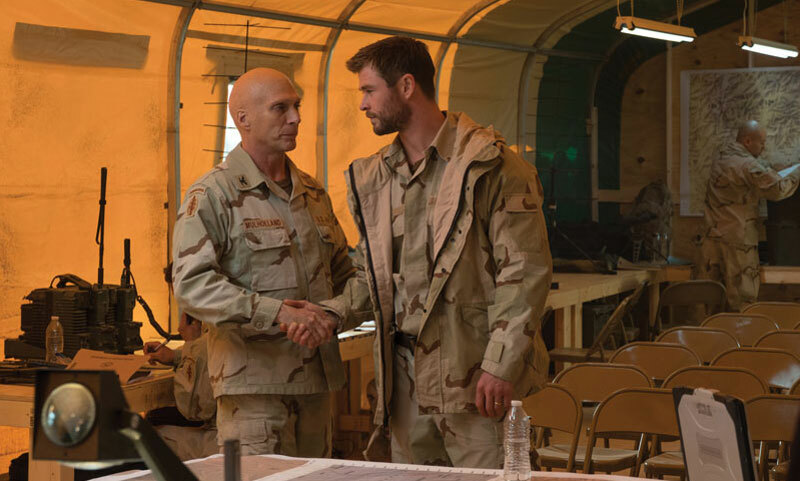 12 Strong’s producer Jerry Bruckheimer insists there was no nepotism involved: “We’d seen her in a number of films, and liked her a lot, and I think Chris was very pleased that we picked her,” he says.